AT&T has invested nearly $275 million in its Puerto Rico wireless and wired networks during 2014-2016, the company announced Thursday. These investments drive a wide range of upgrades to reliability, coverage, speed and overall performance for residents and businesses. They also improve critical services that support public safety and first responders, it added. Rolling in mobile cell sites (Cell on Wheels) to boost service at crowd-drawing events. “AT&T is investing to provide faster, more reliable, highly secure connectivity for Puerto Ricans. These continued investments bring residents and businesses a host of new opportunities and help pave the path for 5G mobile services in the years ahead,” said Ray Flores, vice president of AT&T Puerto Rico & USVI. “These continued investments help us innovate and serve our customers,” said José Juan Dávila, vice president general manager for AT&T Puerto Rico & USVI. “We want customers to have internet access at any moment, from almost any device — anywhere. By investing in our island, AT&T is making business growth possible and our customers have the tools to stay connected and entertained,” said Dávila. The First Responder Network Authority (FirstNet) recently chose AT&T to build a nationwide public safety broadband network. The network will be dedicated to America’s police, firefighters, EMS personnel and other first responders when they need it. 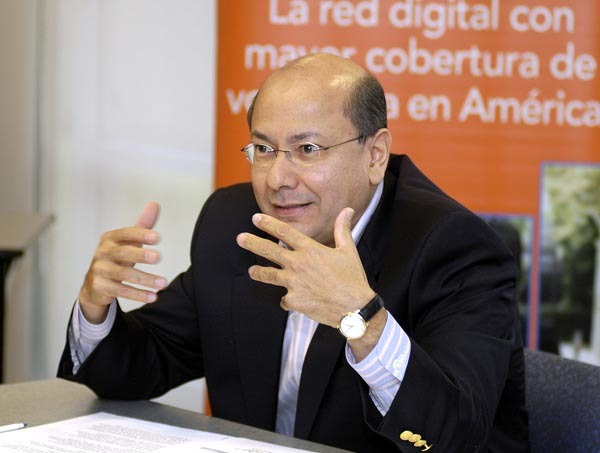 Hey Buddy!, I found this information for you: "AT&T invests nearly 5M in 3 years in P.R. network". Here is the website link: https://newsismybusiness.com/invests-nearly-network/. Thank you.